ROYSTON, England - Dec. 9, 2016 - PRLog -- Researchers at The Institute of Cancer Research (ICR), London, are taking advantage of the single cell encapsulation capabilities of Dolomite Bio's Single Cell RNA-Seq System to investigate resistance mechanisms in prostate cancer. 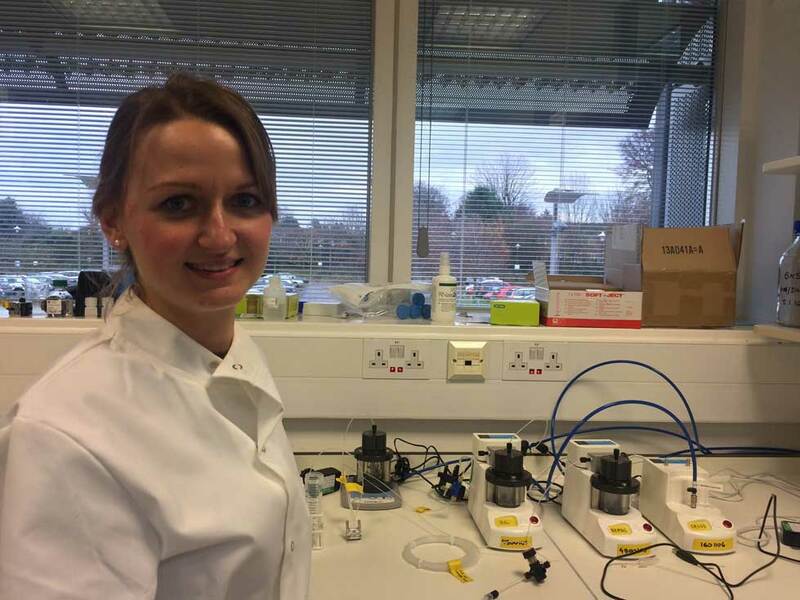 Karolina Nowakowska, a PhD student at The Institute of Cancer Research, explained: "Our team is focused on studying treatment resistance in prostate cancer patients, looking at the biochemical mechanisms responsible. My project is based on using single cell sequencing to help identify the specific genes which lead to treatment resistance,trying to identify biomarkers and, in the longer term, treatments which will allow a more personalized approach to therapy." "Initially I was using FACS to perform manual sorting of cells into individual wells, but this is both time consuming and laborious, limiting me to a maximum of 20 cells per experiment. As throughput is crucial in biomarker discovery, we wanted to perform our investigations on a much larger scale and, following the publication by Macosko et al1, we decided that microfluidics was the way forward. After a demonstration of the system at Dolomite Bio's headquarters near Cambridge, we chose the Single Cell RNA-Seq System, and can now run over 1,000 cells per experiment. Although we have only just finished optimizing our protocols, the throughput is very impressive and the system offers good reproducibility. The beauty of this technique is that it allows you to view many cellular events simultaneously and, once optimized, it's more cost effective than manually sorting and sequencing cells." Dolomite Bio is a brand of Blacktrace Holdings Ltd (www.blacktrace.com), a world leader in Productizing Science®. Our Head Office is based in Royston (near Cambridge), UK and we have regional offices in the USA, Japan, India and Brazil.